Oyyyy, but do I feel like I’m talking a LOT about boundaries lately. With more to come! 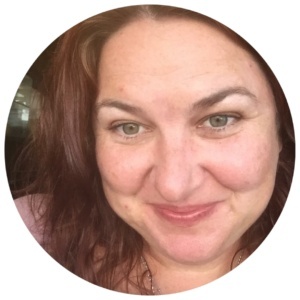 Actually, there’s a more in-depth blog post on boundaries on the way, courtesy of the amazing questions being asked in my Empowerment for Sensitive Peeps Facebook group. It was one of those “ah-ha” moments. Are you ready for some talkin’-in-circles action? Coz that’s the connection. It’s circular. As in, they all support each other. Ready to hear how it works? Coz a LOT of Sensitive Peeps have trouble liking/wanting to be here in this life, and this is an excellent game plan to start shifting that attitude! If you’re practicing having positive, life-affirming boundaries, then the work you’re doing is learning what’s okay for you and what isn’t. Learning how to say (hella) No, and how to do so in a way that leaves you feeling empowered instead of guilty. This is also known as honouring and respecting the b’jeezus outta yourself. You know… being cool with what works for you and what doesn’t. And being able to proactively express that to others. So that you get to avoid feeling cranky or resentful when peeps overstep your (invisible and unspoken) boundaries. Loves! You’ve gotta communicate your boundaries to others, as part of doing the right thing by yourself! But what happens if we AREN’T respecting and honouring ourselves? Well, we tend to wanna be anywhere but here. Do you know that game? I sure do! As in, the desire to be present right where you are vs being outta here, lalala, checked out, head in the clouds day-dreaming about our perfect life (and our hot celeb crush who we’ve found true love with of course… p.s. Tell me I’m not the only one who does this!). And when we don’t want to be where we are, in present time? We’re definitely not grounded, right? When we honour ourselves and our boundaries, then we feel GREAT about being present in our body and wherever we are. Coz, good boundaries means you’re taking care of yourself. It’s kinda like styling up your home to suit yourself. With furniture and decorations you adore. When your pad is all cozy-fied, you wanna hang out there more, right? And when we feel great about being where we are in space and time, how easy is it to be grounded? Connected? And then… (drum roll)… when we’re grounded and connected, how easy is it to respect and honour yourself? And express what works for you and what doesn’t? “Why YES, I am”, was my reply. Coz we need ’em all: Good Boundaries + Being Grounded + Being Present. Each helps and supports the other. So… my Sensitive Peeps! Does this resonate with you? 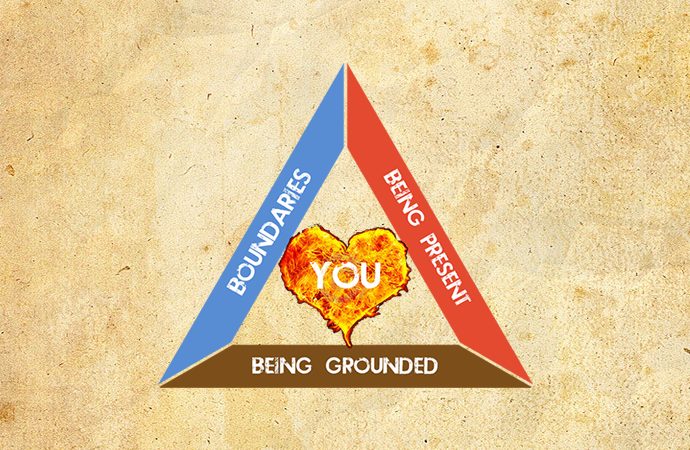 Do you need a lil support getting grounded, present or feeling good about establishing boundaries? Here’s a few options. Choose one or choose ’em all! You can join my new and growing Facebook group: Empowerment for Sensitive Peeps. It’s free, and you’ll connect with a bunch of other Sensitive Peeps. Some of whom are total newbies to exploring their sensitivity, and others who’ve been at it for a while. There’s a lot of warmth and support going on in the group! 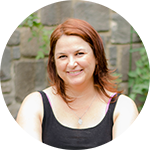 You can book a 15 minute chat with me to see if Kinesiology might be a good match for you. And/or you can book yourself in for a Kinesiology session. BOOM! We can work together via Skype or in person. Get in touch and let’s get on with the business of Empowering your Sensitive Self!